Even financial bloggers don’t always get everything right. This year I found out there is a dark side to earning a decent amount of passive income. While making money outside your job is absolutely great, you have to remember that at some point you have to report it all to the IRS. And that means paying a whole lot of extra income taxes! While the concept of having to paying taxes on your earnings is no secret to anyone, the way you have to go about it is a little bit more complicated than simply waiting until February and then paying in a thousand bucks one time. In fact because of the mistakes I made, I’ll likely have to pay a penalty for my negligence. If you’re someone who freelances or makes a decent amount of extra income (perhaps from blogging or some other activity on the side), then listen up! Don’t make the same errors I did and help yourself avoid the headache. 2014 was a GREAT year for my passive income generation efforts. I received dividend payments every month. Best of all: Blogging income was phenomenal – more than ever before! All the right kinds of things you’d WANT to hear, right? Of course. But there’s a flip side to all of that. You see in the past whenever I made any extra income on the side, there was never an issue when it came to my taxes. My withholding I had already paid on my employment income was so large that the extra taxes I owed on my side income would simply offset them by some small amount (since they were pale in comparison). For example: If I was usually expecting a tax refund of around $4,000, perhaps I’d only receive $3,000 instead. Up until last year this was never an issue. Then in 2013 something new happened – I actually had to PAY IN a tax payment as opposed to receiving a refund check. Though it was awesome and all to have made so much side income that year, I was realizing that I was entering into uncharted territory (for myself) when it came to business / self-employment taxes. Recently as I was adding up the figures of my blog income records, I realized something: I had actually earned about twice as much money as I did last year! Combine that the larger volume of capital gains and dividends we had received and I became suspicious that I was going to owe a lot more in taxes than last year. The IRS expects that when you earn a significant portion of income that isn’t withheld right away (like the way they do with your paycheck) that you’ll make regular quarterly estimated tax payments to them. Even though these estimated quarterly payment amounts can be based on a lot of different factors, the way I should have approached this was to estimate my total side income for the year and then make quarterly payments on them throughout the year. Who knew doubling your revenue would come with such a headache! As it turns out, the IRS doesn’t take kindly to waiting a whole year to pay them the money you owe. And so if you fail to do so, there will be penalties to pay! Darn! Penalties are the worst. It’s basically just throwing your money away due to ignorance. Could there be any redemption? I decided with only 4 weeks left as 2014 was coming to a close, it was time to get down and dirty and crunch some numbers. I fired up Microsoft Excel and started estimating the extra income taxes I’d likely owe this year. As it turns out, they were a lot! I came up with a figure close to $10,000! As I found out last year when I needed some help with my SEP IRA, seeking the advice of a tax professional is well worth the cost. 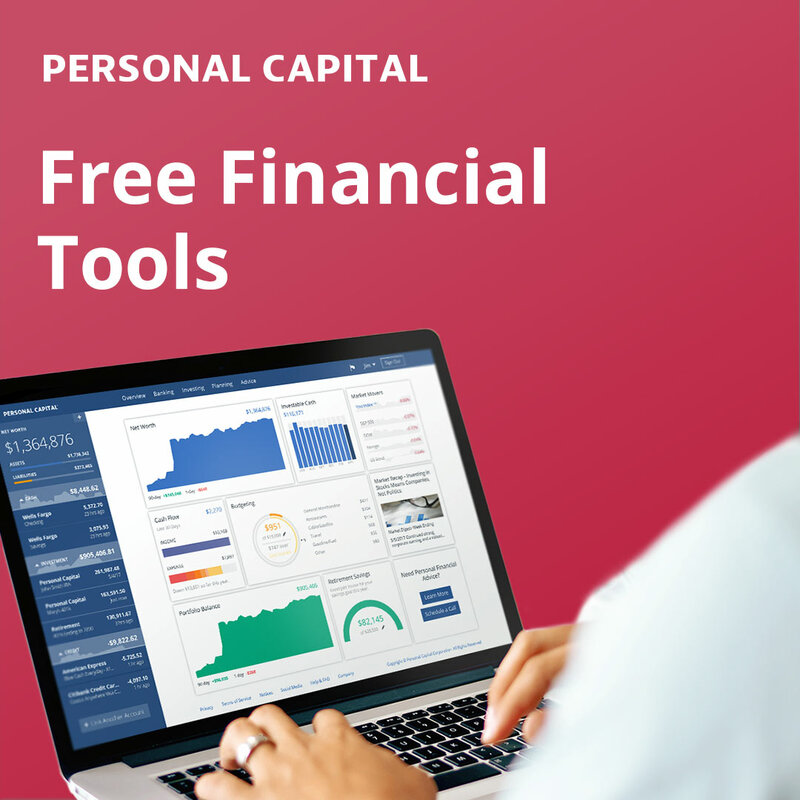 Not only can they give you piece of mind that you’re finally doing things correctly, but they can also help educate you on things you could do differently to help save even more money in the future years. After going back and forth with my advisor, his estimates came in closer to us owing $6,000 as opposed to the $10K I initially thought I we did. Together we worked out a modest figure for how much I should pay now before the last tax quarter ended. It turns out my penalty won’t really be too bad (less than $100). At our next meeting we’re going to discuss a few strategies for how I can avoid tax penalties in the future as a result of the money I’m making on the side. Work with a tax professional. Again, don’t be penny wise and pound foolish. When it comes to navigating your taxes and knowing the rules, seek the advice of someone who knows what they are doing. Its fine and all to ask questions and try to understand things for yourself. But don’t do open-heart surgery on yourself. Get the right kind of help. Be realistic about your extra income. My big blunder here was that I didn’t anticipate making so much blogging income in 2014. Although the extra revenue was great, I should have been better prepared to handle the tax end of the earnings. In 2015 my tax preparer and I are going to work a quarterly income tax payment schedule that I will pay in to avoid penalties and end of the year shock. Budget your tax payments. Another big disaster on my part was not to budget for the taxes I knew I would eventually have to pay in. No matter what my tax pay-in ended up being, I should have been ready to handle it. Going forward I’m going to have a rule about saving a minimum of 25% of my blogging income simply to cover the quarterly taxes I will owe. Contribute to a SEP IRA. What would you rather do – give your money to the IRS or invest it for retirement? Hard choice, right? Last year I discovered that as my own employer I was able to contribute 25% of my profits to a SEP IRA which ultimately ended up saving me about $500 in taxes. This is where working with a tax professional can be valuable. Together the two of you can discuss strategies such as this and avoid mistakes like I made with my extra income taxes. Readers – How many of you make quarterly income tax payments? Has anyone else ever found out the hard way about penalties (like I did)? I had to pay taxes on my blog income the last couple of years, and it really hurts. I guess the only plus side is that it’s more money than I would have gotten without blogging. You’re right. The effort is worth the extra side income, even if you do have to pay taxes on it. This is the first year ever that I’m going to owe instead of getting money back 🙁 I got all my records straightened out Saturday and it’s not looking good. It’s not so much the income tax that I mind. It’s the SE tax that is awful! On the bright side it’s still much better than working the day job! It’s definitely going to be a different way of thinking about taxes and planning for them as time moves forward. But I’m sure when you really add up everything you’re making versus how much you’re paying out, its all good. You just reminded me that I will need to make sure my records get straightened out this weekend. I feel your pain MMD. We have to make out those nice little checks each quarter – in fact I’m sending our Fed in tomorrow. I hate making out those checks, though I realize it’s a good “problem” to have. I pull out 35% off the top of everything we make and put it aside so we have the funds there to cover what we might need to pay in. I also can’t recommend working with a professional more. We hired a CPA 3 years ago once our business started taking off – it’s one of the best expenses we have all year. It looks like I’m in the club from here on out as far as quarterly tax payments. But like you said – this is a good problem to have because it means you’re developing your side income in the right direction. I’m in full agreement – the tax professional has been well worth the expense. I have encountered similar issues in the past because of my investing activities. The good news is that if you also have a normal W-2 job, most of this can be easily handled through extra withholdings from your paycheck. You can resubmit a W-4 form at any time and change your withholdings. Many employers have online forms that allow you to make changes in seconds. Calculating the number of exemptions is tricky, but there is another simple box where you can just have an additional amount withheld. The reason this is so attractive is that if the money is withheld, you only have to get it in by the end of the year to avoid penalty. For example, if you sell a stock in February and expect $2,000 in capital gains taxes, you could pay that with estimated taxes in Q1, or you could just have an additional $1,000 withheld from each of your last two paychecks of the year. But make sure you don’t wait too long or you won’t be able to jam it in at the end because you can’t withhold more than you make. Thus, it’s safer to start early, perhaps even at the time of the gain. This has helped me to avoid estimated tax payments and penalties for years. Disclaimer: I am not a tax advisor. Everyone should do their own homework and consult a tax professional when in doubt. I’m merely sharing my opinion. This comment is not tax advice. I was actually considering increasing my paycheck withholding as an alternative (like you mentioned). But unfortunately I’m not sure I have any allies in the HR department who can help me to set this up properly. The first year I owned my practice, I did not send in quarterlies and ended up with a $20K tax bill! I’ve done quarterlies ever since, but I am considering doing withholding from my one W2 job so I don’t have to worry about the quarterlies. I don’t like Uncle Sam to hold my money, but I do hate having to make the payment every few months. It seems less painful to just have it withheld. Wow! 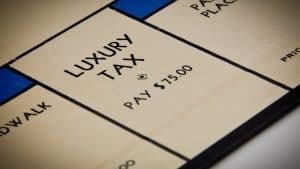 How much in penalties did a $20K tax bill result in? Great post! Too many side hustles forget about taxes and then receive a HUGE shock when tax time comes around. Best to save and pay throughout the year than having to pay a penalty. That’s the method I’m going to try next year. Hopefully I can avoid any and all penalties next year. I’ve been worrying about this all year because I wasn’t sure how much I’d make on the side, but I’ve been putting money aside to pay it all in a lump sum. Let’s hope it’s not more than their $1,000 requirement! If not, I guess a penalty under $100 may be worth it…is that penalty flat? Or based on your tax liability? To be honest I’m not sure how the penalty is calculated (I’m sure there’s a table somewhere to look it up). However I’m certain that making those quarterly estimated payments will extinguish them next year. Ouch! Lessons like this really hurt a lot but makes us more conscious in the future. The coming up with $4K quickly was the more painful part than excepting that I’ll have a minor penalty to pay. I will not make that same mistake twice. 2014 was the first year I made quarterly payments. I only did so because we used an accountant. With my wife working in sales and have a tone of non-reimbursed expenses, me starting to blog full-time and renting out my house, there were way too many moving parts for me. I’ve done my own taxes for many years, but I just didn’t feel comfortable for 2014. I’m glad I didn’t, otherwise I would be in your shoes because I wouldn’t have made the payments. In fact at one point I was nervous I was paying too little! But everything worked out OK in the end. That’s good you got things in line with an accountant, and can now have a safe system going forward. Since you transitioned from a blog hobby to an actual business. 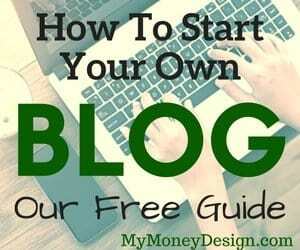 From your experience at what annual amount or passive income monthly amount does a blog turn into a business? Most of my dividends are reinvested into retirement accounts so its not considered income. I’ve paid estimated taxes in the past at various times of contact and consulting gigs. It’s a half to be sure, especially since the self employed are penalized with more taxes than employees. But all things considered, it’s a great problem to have. I’m looking forward to the time I can be fully self employed and open up my own SEP 401k. Being able to sock away over 50k a year is a big incentive! I think its best to save and pay throughout the year than having to pay a penalty.Penalties are the worst.Planning on how to get your tax right really helps. Setting aside funds from additional sources of income to ensure you can pay taxes at the end of the year is SOOOOO hard. I have that issue today with my passive income. I currently earn over $12,000 a year in dividend income from my stock portfolio and have had to make sure that all dividend income is now accounted for, so I don’t get a rude shock at tax time. How to Use a 72t Distribution to Get Money Out of Your 401(k) and Retire Early! Roth IRA vs. Traditional IRA – Which One Is Better for You? How Do You Know When to Drop Collision and Comprehensive Coverage? What is the Minimum Retirement Savings You Could Comfortably Live On? Should I Pay Off My Mortgage Early or Not? How Much Should I Contribute to My 401(k) Plan? This is the Number You Need to Hit! How to Fly to Hawaii On Points – We Saved Over $5,000! My Money Design is for entertainment and reference purposes only. 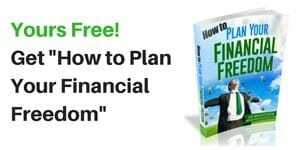 The information presented is the opinion of the author only and should not be interpreted as specific advice or recommendations towards your financial situation. Always consult with a true professional before making any financial decisions. Affiliate Disclaimer: My Money Design may be compensated for our personal opinions, reviews, and affiliate relationships with some of the featured products and services. Google Adsense and Amazon Associates are examples of such relationships. Such content, advertising space or posts may not always be identified as paid or sponsored content. All offers or claims are subject to change without notice and should be verified with the manufacturer, provider or party in question.